Three Days Is Enough…to pack a lifetime of fun at Mockingbird Bay Resort. 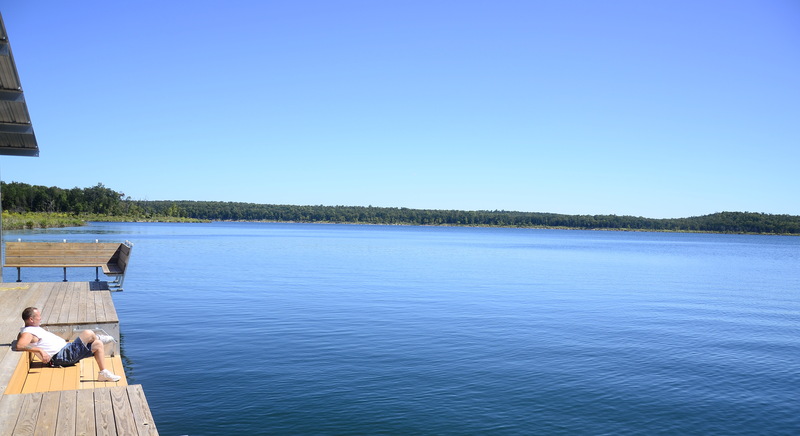 “What should we do this weekend?” Well, if that’s the question you’re asking yourself this Spring, I’ve got a great answer for you… break away from the rat race, the city, the traffic, the noise, and make your way to a cabin on Norfork Lake. Mockingbird Bay Resort is the place for sitting on the dock with a gently rippling lake, an occasional deer (or 10), and sunny blue skies. Bring the whole family for some quality memory-making. I’ll be happy to help you find interesting local things to do for a special weekend in the Ozarks. Check out our website, our Facebook page, our Pinterest boards, our Twitter feeds — you get the idea — we’re accessible…and you can find the most current updates easily. This entry was posted on Saturday, January 25th, 2014 at 5:45 pm and is filed under Fishing, Uncategorized, Zortman Family Happenings. You can follow any responses to this entry through the RSS 2.0 feed. You can leave a response, or trackback from your own site.